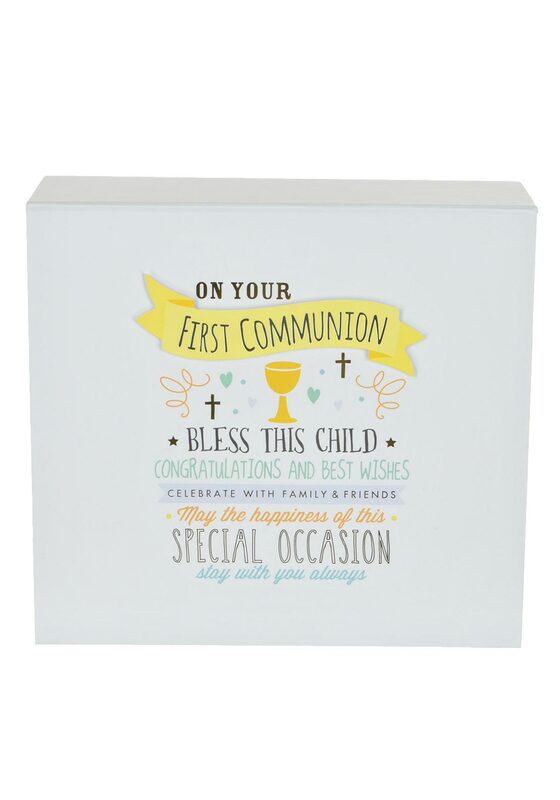 This keepsake box from Widdop & Bingham would make a fabulous First Holy Communion gift. 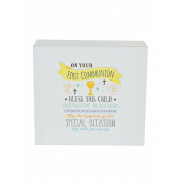 A white square shaped box that will store your belongings from your special day. The box is inscribed with the wording “On your First Communion, Bless this child, Congratulations and best wishes, Celebrate with family and friends, May the happiness of this, Special occasion, Stay with you always”.